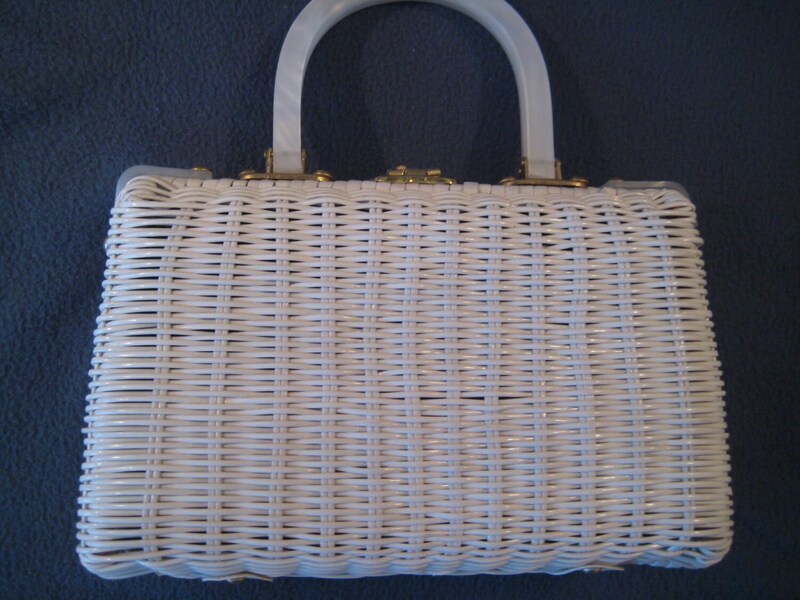 Very nice vinyl wicker vintage handbag in white. 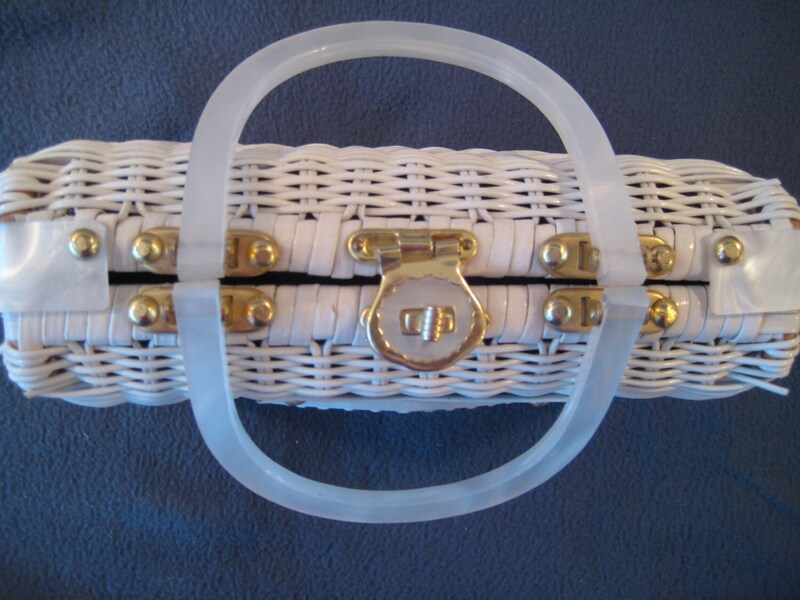 Great Lucite design on one side over white leather. Matching marbleized Lucite double handles and band across the top. Gold tone metal key hole latch and grommets. 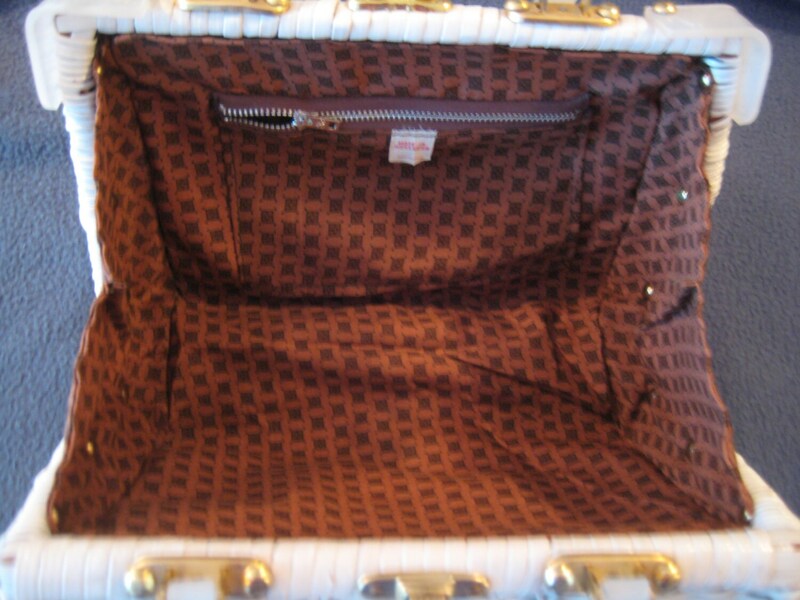 Brown patterned cotton interior lining with one metal zippered pocket. Made in Hong Kong label. This bag is almost mint condition. Dimensions: 10 inches long x 7 inches high x3.5 inches wide at the bottom. Handles have a 4 inch drop. 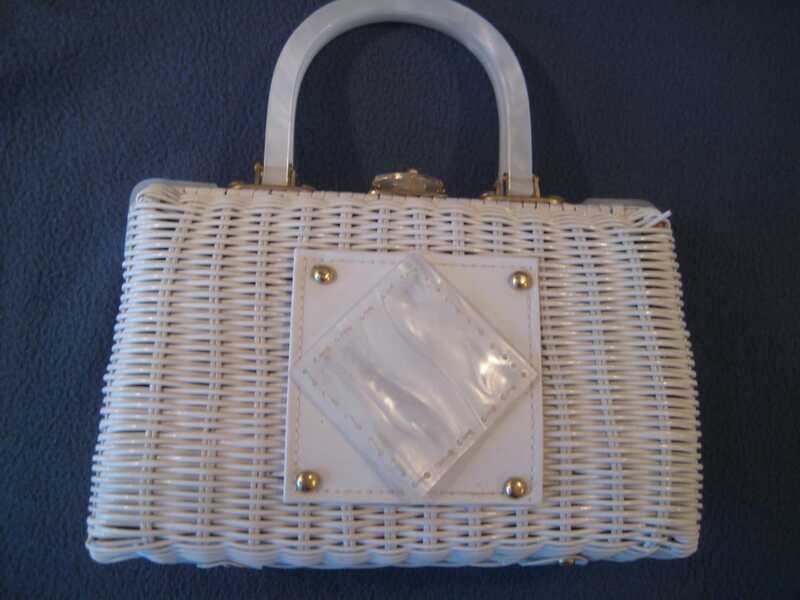 A wonderful opportunity to own a vintage wicker and Lucite handbag at a great price!